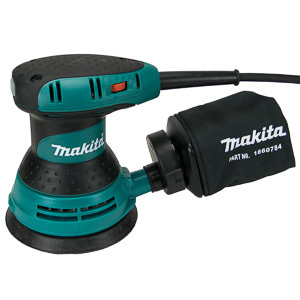 Makita's compact line has been a favorite among carpenters ever since it was created. The tools in this line are smaller, more compact versions of the regular lineup (R5FZQ43AN86S). The LXFD01CW is the entry level drill/driver in this lineup. It has been designed to make the best compromise between performance and size . Let's take a look what it can do in the workshop. 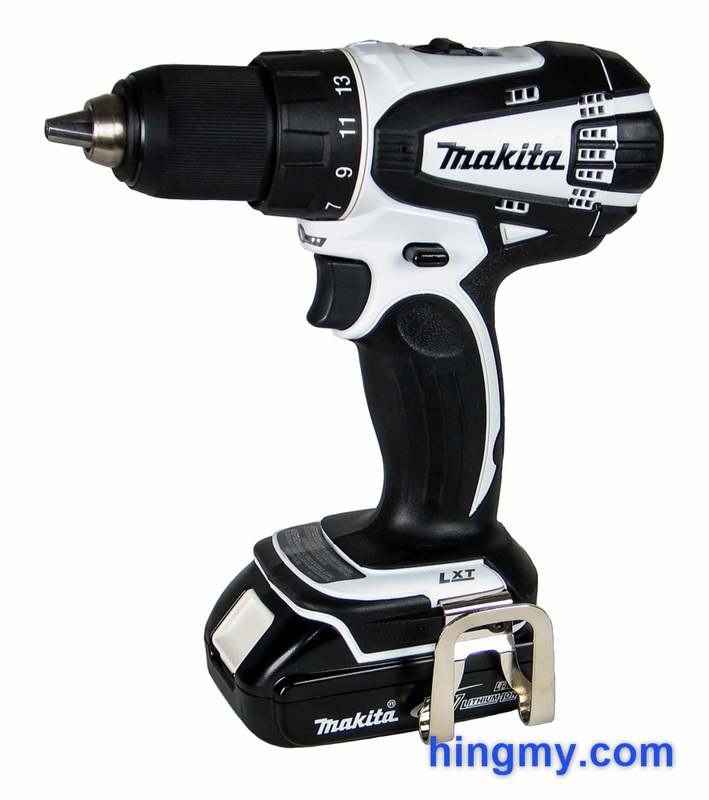 The LXFD01CW is one of the power drill options in Makita's 18V tool lineup. Being a compact tool, the drill is smaller than the full size models. To save weight it uses a half size 18V battery. Other than the missing hammer-mode the LXFD01CW performance matches that of the regular line. The designers of this drill intended the drill to be easy to use without making significant performance compromises. The body of the drill shows evidence of quality engineering and production processes all over. There are no lose or rattling parts anywhere. The battery seats securely and movement free. There is no play in the chuck, trigger, and speed selector. The brushes of the drill are accessible through a panel at the rear of the tool. Two screws secure the panel to the drill's body. This innovative feature makes servicing the LXFD01CW's brushes a quick operation. With a battery installed, the tool's balance point is just below the trigger. The LXFD01CW is comfortable to hold and use. 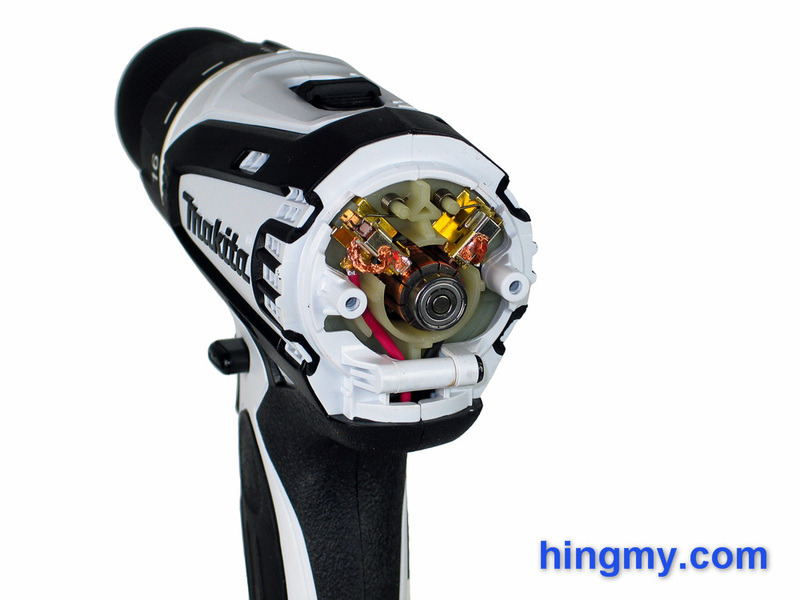 It's relatively short and light body make the drill feel more than a driver than a regular size drill. The speed selector switch is located at the top of the tool. The LXFD01CW has a low and high speed setting. Flipping the switch changes the top speed from 400rpm to 1500rpm. The switch itself seats securely in both positions. It takes some force to move, but not enough for the tool to take damage. The chuck of the LXFD01CW is made from plastic to keep the weight down. 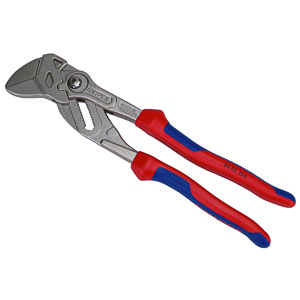 It's jaws open to the full 1/2" specified in the product description. Drill bits are held securely in the center of the chuck perfectly align with the axis of rotation. Tightening and loosening of the chuck is easily done using motor power. Even large bits can be installed without having to put an uncomfortable amount of force on the chuck. The plastic housing of the chuck is a departure from the all-metal chucks found on some full size models. While the weight reduction is certainly welcome, one cannot help but wonder how the plastic chuck's durability compares to that of a metal chuck. 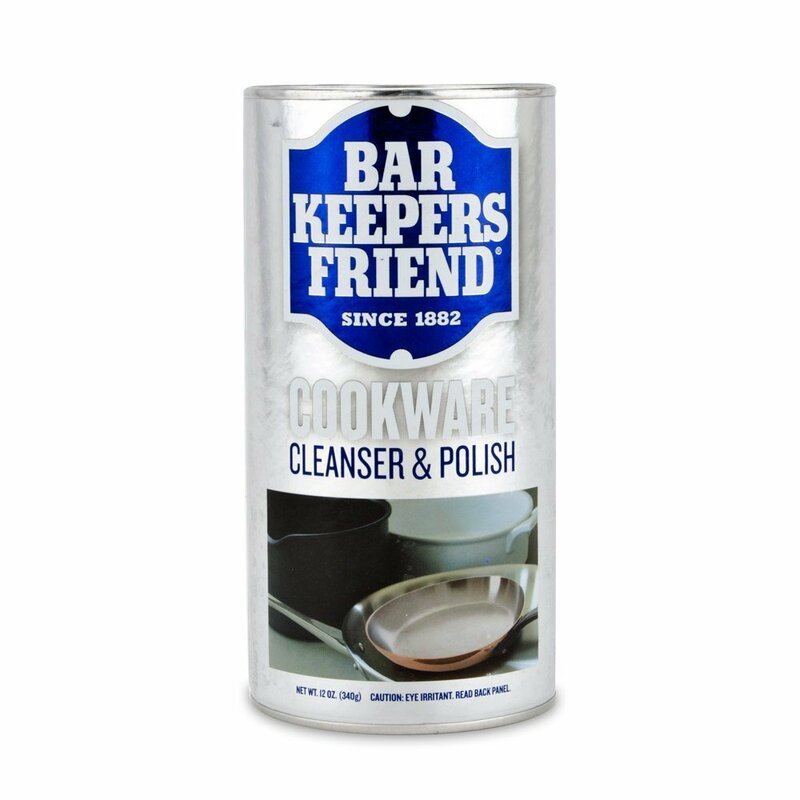 The plastic chuck is undoutedly strong enough to survive the rigorous of careful use, but it won't reach the service life of a metal chuck. The clutch of the LXFD01CW has 16 settings for driving fasteners, and a separate setting for drilling that locks the clutch. The lowest setting allows the clutch to trip at very low torque. The highest almost locks the chucks. To test the clutch we drove 3" screws into a 2x4. Screws driven with the same clutch setting all achieved the same depth when the clutch tripped (within a reasonable tolerance for grain variations). The differences between the clutch settings was pronounced and meaningful. Higher clutch settings resulted in deeper screw penetration. Makita has equipped the LXFD01CW with an LED work light. Located just above the trigger, the light comes on when the trigger is pressed and stays on until 15 seconds after the trigger is released. This design eliminates the need to keep the trigger engaged to keep the light on. The LED emits a bright, white light. The cone is centered near the tip of an average length drill bit. Illumination of the work area is excellent; even in a perfectly dark room. The work light is strong enough to be used as a weak flash light. 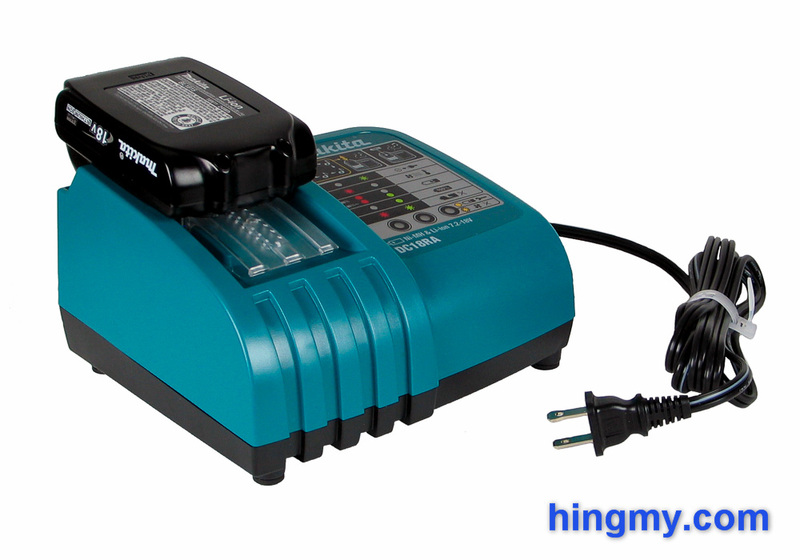 The LXFD01CW ships with Makita's compact 18V batteries. These batteries have half the capacity of regular 18V battery, but weigh less and charge faster. Regular 18V batteries can be installed in the drill, but they throw off the excellent balance the tool enjoys with a compact battery. Makita's 18V tool lineup includes a diverse selection of tools that share the same battery and charger. 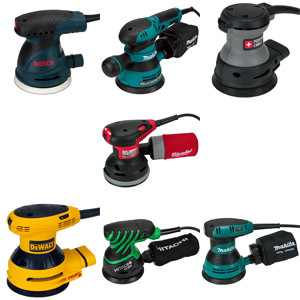 The compact batteries included with the LXFD01CW can be used with any 18V LXF Makita tools, but offer the best experience when used with a tool in the "compact" lineup (all white tools in this list). 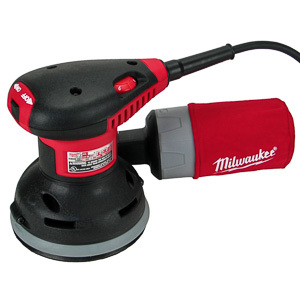 The LXFD01CW is pleasure to use when drilling wood, plastic, and metal. 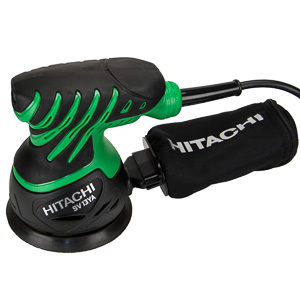 It's motor provides plenty of torque and speed to power the drill bit through the material at fast speeds. While the drill is not the fastest or most powerful available, it's performance puts into the middle of the pack. The LXFD01CW does well without impressing. On the job site and at home the drill will very rarely make you want more power. In driver mode the story changes. As so many drill marketed as drill/drivers, the LXFD01CW clearly under-performs as a driver when compare to pure drivers. The 40ft-lbs of torque the motor provides is enough to sink screws in construction lumber, but it won't get the job done with ease. Getting the fastener started feels awkward, but can be completed with enough resolve. Driving a few fasteners is not a problem. Driving a deck's worth is a chore. The best attribute of the drill is its small size and low eight. 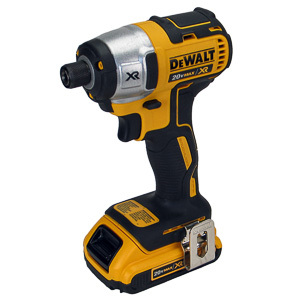 During all my tests the LXFD01CW felt better than my full size cordless drill. The drills small size makes even mundane tasks such as drilling a hole with perfect access faster. It's just easier to get the drill positioned properly. On the flip side, drilling large holes with the LXFD01CW is harder than doing the job with a full size drill. The drill's low mass makes it want to spin around the bit much faster than a regular drill would do. This is particularly noticeable when driving screws at high torque. Overall the LXFD01CW is a good drill, and a poor driver. Driving performance is inline with other drill/drivers, which are universally poor at this task. The LXFD01CW performs best when doing regular, every day work. The Makita's cordless lineup the LXFD01CW is intended to be the compact tool for drilling metal and wood. The BHP452HW adds a hammer mode to the specs of the LXFD01CW extend the drilling options to stone and concrete. The hammer gears make the BHP452HW larger and heavier than the LXFD01CW. The full size version of compact tools are the BDF451, which does not have a hammer mode, and the LXPH01, which does. The king of the hill is the BHP454, which offers more torque and power than any of the other tools. It's also the heaviest and largest. 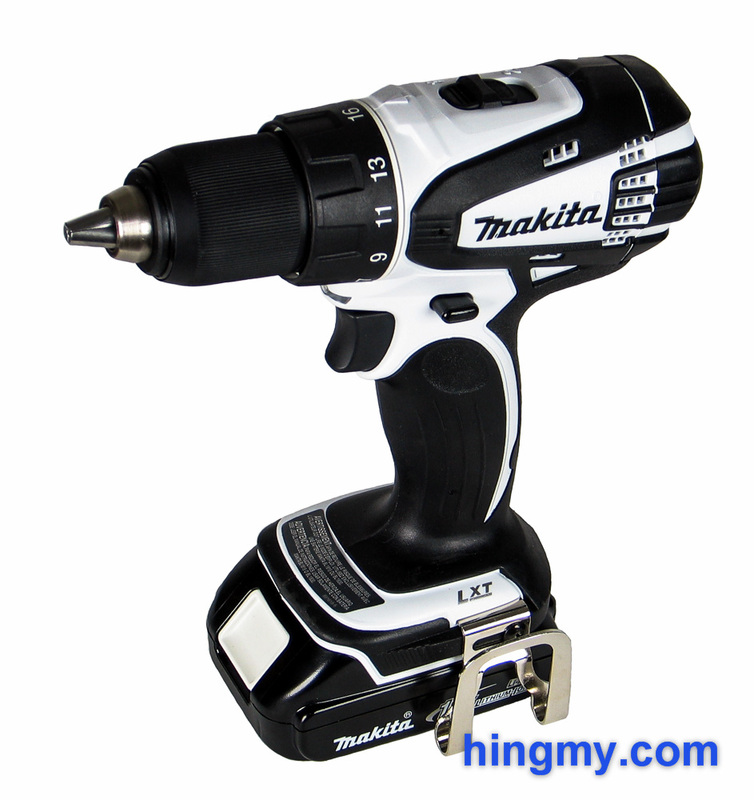 Makita's LXFD01CW is a compact drill/driver that excels at everyday drilling tasks. 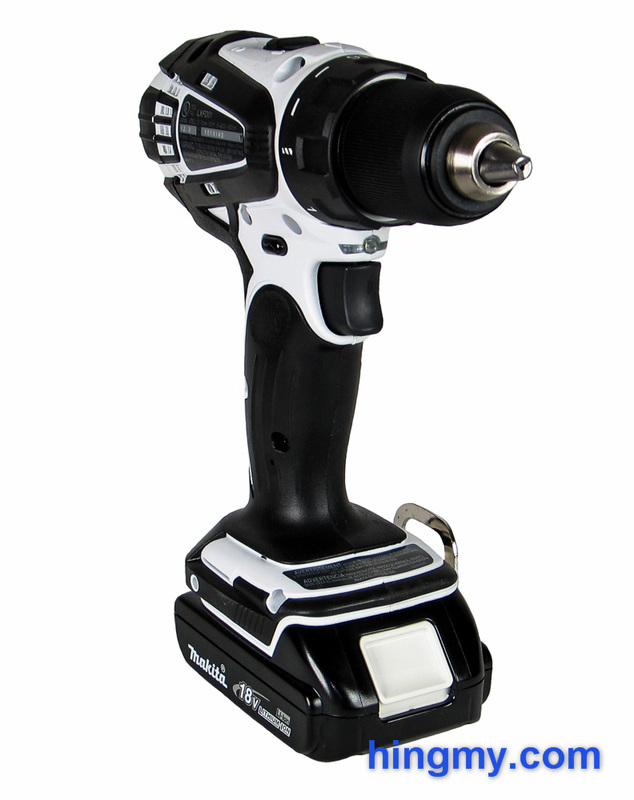 It's compact size makes the work go faster than it would with a regular size drill. 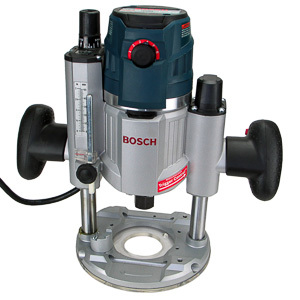 As most drill/drivers, the driver function of the tool is somewhat limited. There is enough power to complete most task, but the experience cannot compare with that offered by a purpose-built impact driver. The absence of a hammer mode and small battery capacity limit the usefulness of the LXFD01CW as a one-tool-does-it-all drill. 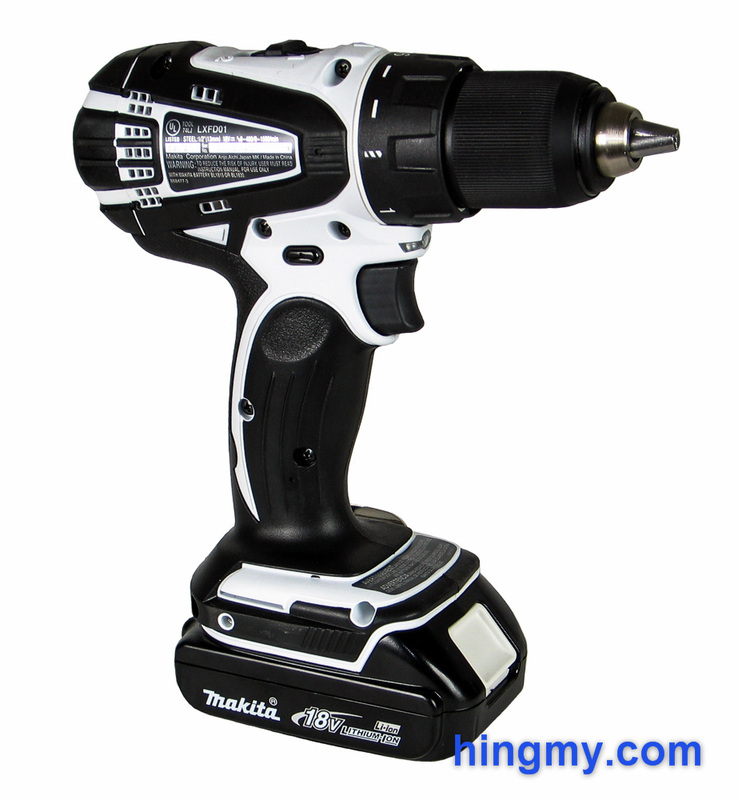 The sweet spot for this drill are medium duty tasks such as interior carpentry. Being smaller and lighter than most drill/drivers the LXFD01CW rises above its larger competition to the ranks of the best tools for the job. In these situations its limited heft and power are not an issue. Overall Makita's LXFD01CW is a compromise between power and size. Home and infrequent users will find a very capable and fun tool. Professionals should be aware of the drill/driver's optimum usage range. The LXFD01CW does not belong in everyone's tool bag.